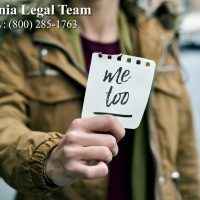 If you have been victimized by sexual harassment in the workplace, contact our office today to speak immediately with our attorneys. How Do You Know If You Have Been Sexually Assaulted? All data and information provided on this site is for informational purposes only. Content, sources, information, and links change over time. The information published today might not be valid or accurate a week, a few months, or years from now. 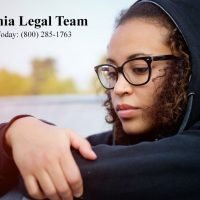 Further, the majority of the information published on this website are submissions from students and professionals, whose opinions may be inaccurate, incomplete, or inconsistent with the views of https://www.californialegalteam.com. Owing to the natural evolution of online content and based on the fact that the information covered is written with the Reasonable Person in mind, https://www.californialegalteam.com makes no representations as to accuracy, completeness, correctness, suitability, or validity of any information on this site and will not be liable for any errors, omissions, or delays in this information or any losses, injuries, or damages arising from its display or use. All information is provided on an as-is basis. © 2019 California Legal Team. All Rights Reserved.